Alicia Roy visits Dalston’s Arcola Theatre to explore its incredible environmentalist ethos, and to see The Nightmares of Carlos Fuentes, the black comedy about an Iraqi refugee in London. 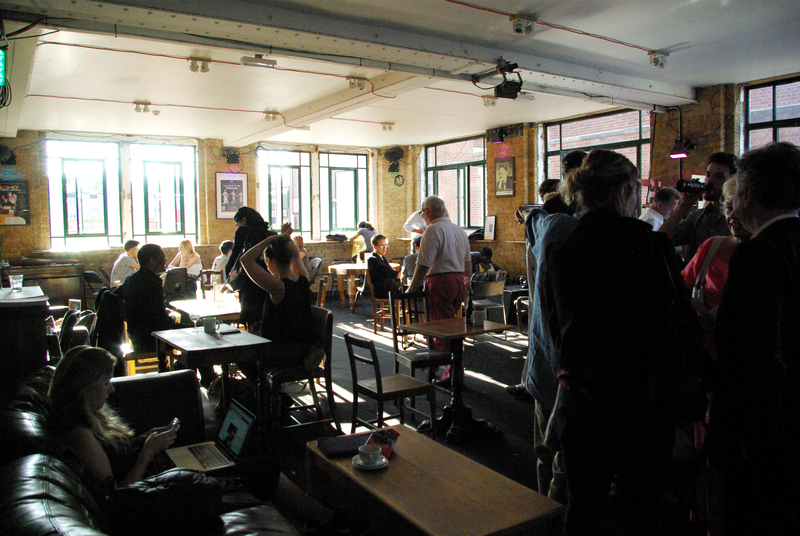 Arcola Theatre is a delightful venue in Dalston, not to be overlooked. There are so many reasons to relax and enjoy the energy that surrounds this amazing location. It goes without saying that the atmosphere of the venue itself as well as the exciting plays shown here will draw you in. But before going into more detail about the new play currently showing, ‘The Nightmares of Carlos Fuentes’, the wonderful project hidden behind these four walls ‘Green Arcola’, deserves some attention. It sounds ambitious nowadays to use the word ‘green’ with great honesty. However, Arcola Theatre is deserving of this title, by working towards its status as the world’s first Carbon Neutral Theatre. The project is made possible by the major renovation work to the theatre which took place in 2012, and the installation of sustainable features such as the biomass boiler and solar panels. However it is also driven by the brilliant environmental awareness of the theatre and its staff. The central mission was to raise awareness in the neighborhood about the impact we can have on our environment, encouraging people to think differently on a day to day basis. It is apparent that this mission is a successful one so far. 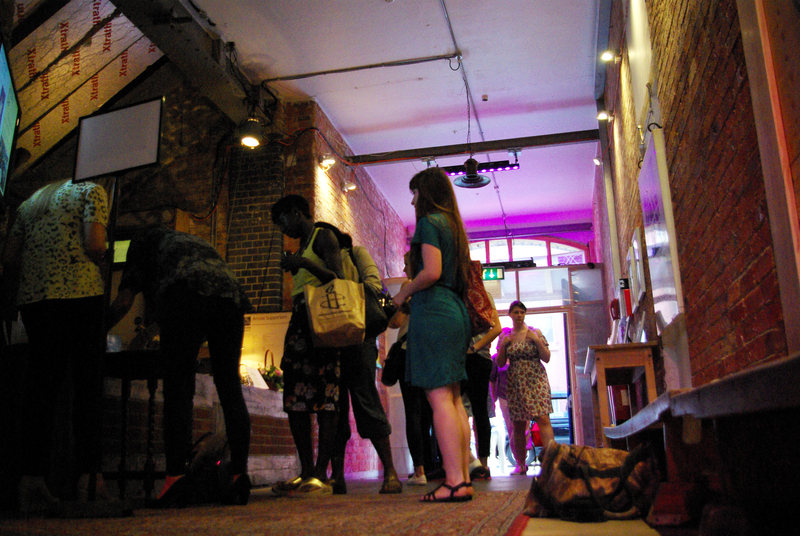 Arcola Theatre is generating a positive and impressive imprint that is changing the area for good. The theatre is also committed to the idea that the arts are integral to positive changes in our society too. LovArts is of course also dedicated to art as a means of enhancing and inspiring everyday life, and providing artists with the tools to promote their work. The new play at Arcola Theatre, ‘The Nightmares of Carlos Fuentes’, puts a spotlight on the often overlooked reality of how refugees adapt to changes in their lifestyle and location. This play is based on a short story from Hassan Blasim, the script is written by Rashid Razaq, and is directed by Nicolas Kent who was artistic director of the Tricycle Theatre. It’s very recently that we have started to hear about Hassan Blasim on a bigger scale, as he won the Independent Foreign Fiction Prize for ‘The Iraqi Crist’. This book is composed of 24 short stories that give us a dark, fictional and somehow real vision of Iraq after the war. The Guardian has called him “perhaps the best writer of Arabic fiction alive” and now we have the pleasure to see one of his stories taken to theatre. The play starts with Salim, an Iraqi refugee who fled persecution in Baghdad. He arrives in London with the new identity of Carlos Fuentes, his name adopted from the Mexican writer after reading it in a magazine. Carlos marries a wealthy older woman and prepares himself for the citizenship test. However he feels the pressure of the cultural contrast on a daily basis, and the memories of the violence of his past in his own skin. Finding it impossible to cope with this new divided reality, the nightmares of his past catch up with him, leading to his deportation. This black comedy is an enjoyable one, but it is impossible not to relate its themes to the confrontations and loss of life in both Gaza and Iraq today. The headlines alert us to horrifying and ever increasing death tolls, and The Nightmares of Carlos Fuentes reminds us not only of the dead, but of those who survive. They will suffer the scars of war for the rest of their days. You can see The Nightmares of Carlos Fuentes for just £7 next Wednesday afternoon, using the offer code AUGUST. This is valid on any number of tickets. The Nightmares of Carlos Fuentes is showing at The Arcola Theatre until 16th August. 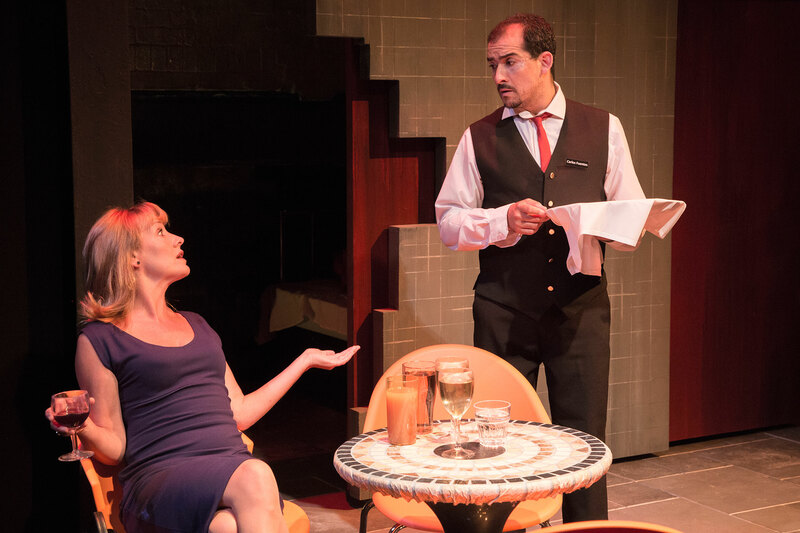 This entry was posted in Events, Review, Uncategorized and tagged Arcola Theatre, Art, Dalston, Environment, Green, Green Arcola, London, london visual arts, LoVArts, Review, The Nightmares of Carlos Fuentes, Theatre, visual art. Bookmark the permalink.